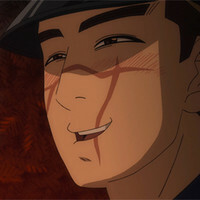 Crunchyroll - Get Hungry for Season 2 of Golden Kamuy With a Look Back at the Delicious Foods of Season 1! 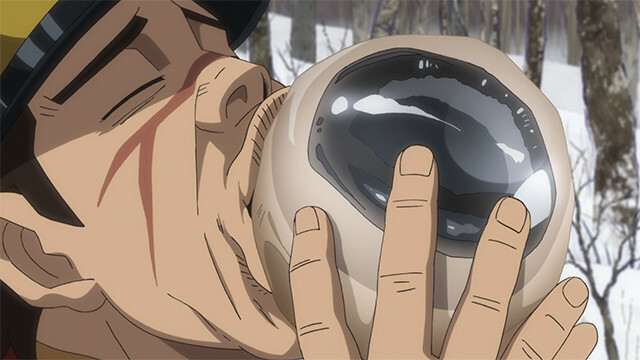 Get Hungry for Season 2 of Golden Kamuy With a Look Back at the Delicious Foods of Season 1! A look at the show's lots of delicious food from Japanese and Ainu traditions! 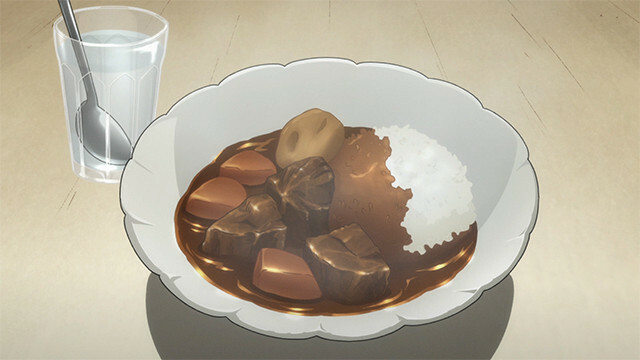 We know that you’re likely as anxious as we are to see the continuing adventures of Immortal Sugimoto, Asripa, and Shiraishi (we guess…), so as season 2 gets its much-awaited start, let’s take a look at two full-course menus of food from the show! 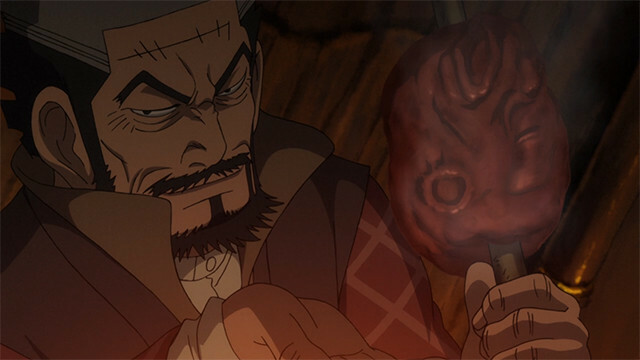 Probably one of the most surprising parts of Golden Kamuy for many was the amount of amazing food traditions and dishes that appeared throughout the show, so we want to pay homage to those by taking a look back and creating our two masterful lists of potential meals for you to enjoy. Before you decide which one you’d like to try, please take a look at what we’ve got to offer! For our first dish from our Ainu menu, there’s nowhere better to start with than squirrel or rabbit chitatap! These lean proteins mix well with some other slight flavors, such as mixing in acorns with the squirrel, and provide a great, hearty start to a good meal! The amount of meat on the average squirrel and rabbit may not be much, which make them perfect for a light, easy to eat appetizer for the rest of the menu. You can also share it with any dining guests you might have, and the camaraderie of chanting “Chitatap” while you share preparation of the meal is a bonding experience unlike any other. If you’d like something a bit more familiar, you’re also welcome to try our deer chitatap, which has a slightly gamier taste but is just as wonderful. However, if we could make a suggestion, you might find a different deer dish later on, so you might not want to double dip! On our other menu, we’re starting you off with a serving of bear heart and blood sausage. While those might sound like an overall heavy meal, the earthy and slightly metallic taste of the meat will provide a great balance for some of the later, lighter dishes to come. While this dish is regional and hails from Nihei’s region of Japan, it offers up a unique and adventurous start to the rest of the meal to appear! Plus, there’s the added benefit of not having to have hunted for the bear yourself…! If bear isn’t your animal of choice to start off your meal, we’ve also got the somewhat more traditional herring mixed with white rice and pickled vegetables. Although nowhere near as exotic or flashy as other dishes on our menu, we think this staple serving might provide you with a great base for the rest of the meal. When you think entree, you likely think of a large, sustaining and enjoyable meal. We have a few selections for you to enjoy here between two stews: sculpin (rockfish) stew and deer meat stew, or if you’d prefer something a bit meatier, we have salmon ruype or cooked iwan onnechep kamuy and its delectable eyeball! Our stews provide you with that warming, generous sensation of eating a warm and hearty stew (perfect as we begin the Fall months! ), and you can even add your own seasoning of miso if you’d like. 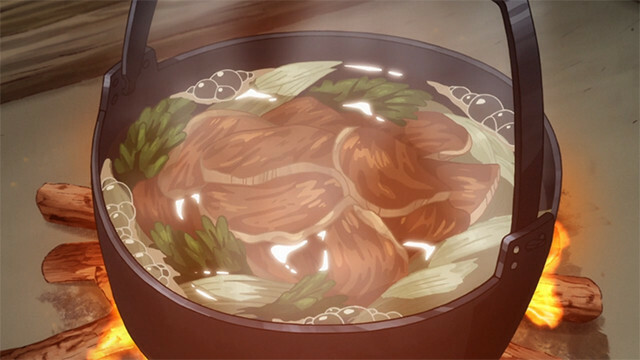 Just don’t let Asirpa see, since she’s still not entirely convinced it isn’t osoma… Either way, you’re bound to feel the warming sensation of a good, hearty stew coursing through your body after you enjoy either of these dishes. And if you’re feeling like something a bit chewier, the dried and cured salmon ruype will give you some tasty and long-lasting options, perfect for taking with you in a to-go bag! If you’re feeling a bit like challenging yourself, then we highly recommend our final offering: iwan onnechep kamuy. While this dish might be quite a bit more rare than the rest, when its on the menu, you’re in for a treat, especially if you order the eyeball, trust us! Plus, you get lots and lots of tasty, juicy, crispy fish skin to eat! We have some other delightful choices here if you’d like to eat from our Japanese menu, featuring a slightly adventurous dish, and two Japanese staples: sakuranabe, herring soba, and rice curry with ezo deer. Herring soba will give you that enjoyable sensation of slurping homemade noodles with a tasty, savory broth, great for a cold day! 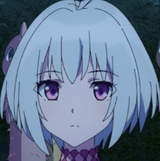 If you’re looking for something that might stick to your ribs a bit more, the rice curry with ezo deer is a perfect combination that almost anyone can enjoy--Just don’t bring up osoma!--by combining the thick, hearty mixture of the curry roux with the rice, vegetables, and fresh deer meat. 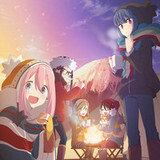 If you are feeling slightly curious to try it, we also highly recommend the sakuranabe; horse is quite a delicacy, and ours comes with all of the great features of your traditional hot pot, letting you share the joy of cooking together with others and sharing the mixture of meat, vegetables, and broth together with your friends! Both Menu Third Course: Dessert…? 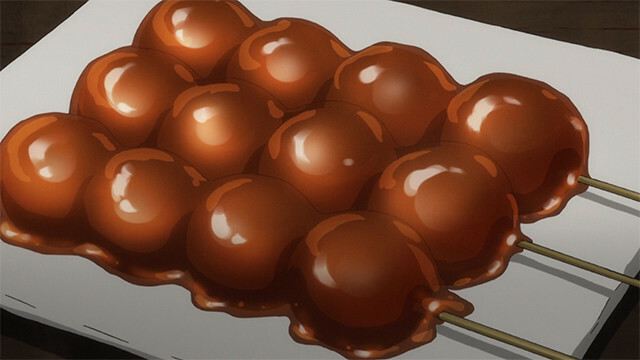 While there aren’t many desserts featured in Golden Kamuy or on our menu, we do have one that’s hard to resist: kushi dango! These juicy, plump balls of rice flour mixture are a fun and sweet and savory way to end a meal. What’s that? You aren’t really wanting to eat them off these pointy sticks? Don’t worry, we haven’t seen Lt. Tsurumi anywhere, so you’re safe for now. Go ahead and enjoy to your heart's content! Well, which of our two menus would you like to try the most? Personally, we’re quite partial to iwan onnechep kamuy, because who can resist crispy, delicious fish skin? 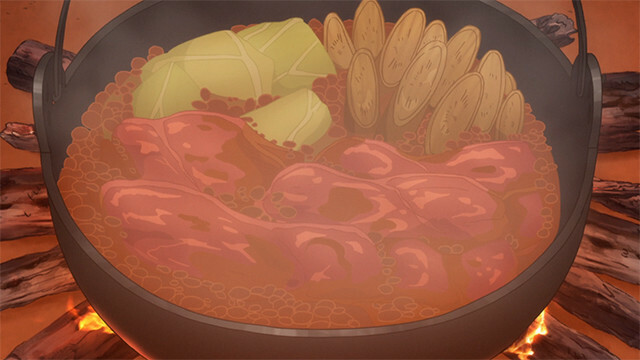 Ah, but, curry is also so good… Oh, excuse me! Didn’t mean to drool on you there. 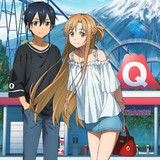 Anyway, we’re sure to be adding new dishes to it regularly with the upcoming season, so please come back another time to try our new culinary delights! 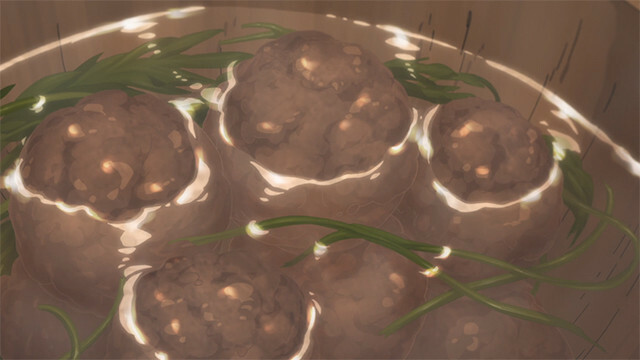 Have a favorite Golden Kamuy dish you’d like to try? Have you had any yourself? Let us know in the comments! Want to try your hand at making your own curry? Try out this classic curry recipe from 1872 and tell us how it was!